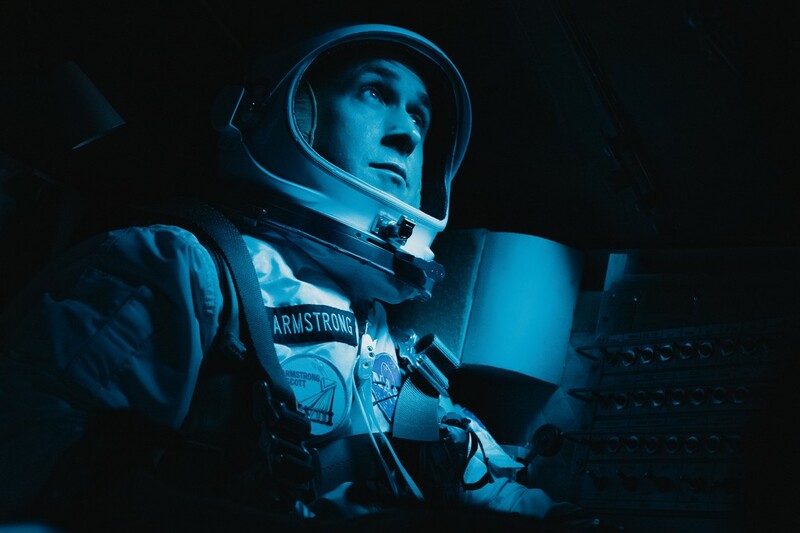 Rotten Tomatoes Plot: On the heels of their six-time Academy Award-winning smash, La La Land, Oscar-winning director Damien Chazelle and star Ryan Gosling reteam for Universal Pictures' First Man, the riveting story of NASA's mission to land a man on the moon, focusing on Neil Armstrong and the years 1961-69. A visceral, first-person account, based on the book by James R. Hansen, the movie will explore the sacrifices and the cost on Armstrong and on the nation of one of the most dangerous missions in history. Landing the first man on the Moon is probably the single greatest event of the 20th century. So it stands to reason, that Chazelle's First Man would be exhilarating and uplifting, right? Wrong. The first (almost) two hours is surprisingly depressing and familiar... Ron Howard's Apollo 13, minus the color, humor and positive vibes (and remember, that mission was a disaster.) Most of the performances (particularly Gosling and Claire Foy) are lifeless and sad. But once Apollo 11 launches, and the Lunar Module lands on the Moon... Shazam! For that reason (and that reason alone) I highly recommend seeing it.